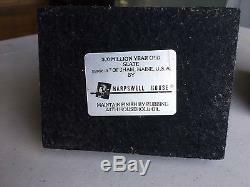 These bookends are from circa 1950's or 1960's from the family-owned Harpswell House in Brunswick, Maine. 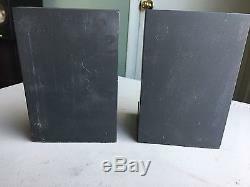 They are bookends slabs of 300-million year old black slate. 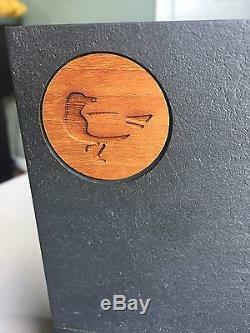 On each is a teak wood circle hand-carved with a bird. The bottom is lined with felt. Please contact with any questions. Please Note: Kindly wait to pay until we send you an invoice. 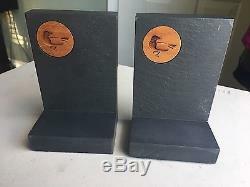 The item "Harpswell House Mid-Century Modern Teak Wood Slate Bookends Vintage Bird" is in sale since Sunday, June 25, 2017. This item is in the category "Antiques\Periods & Styles\Mid-Century Modernism". 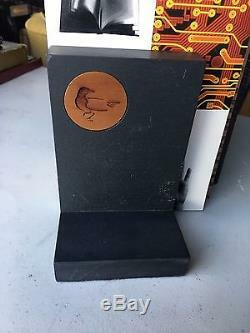 The seller is "ldbrownbear" and is located in Burlington, Vermont.